Cross-platform play between Switch and Steam. 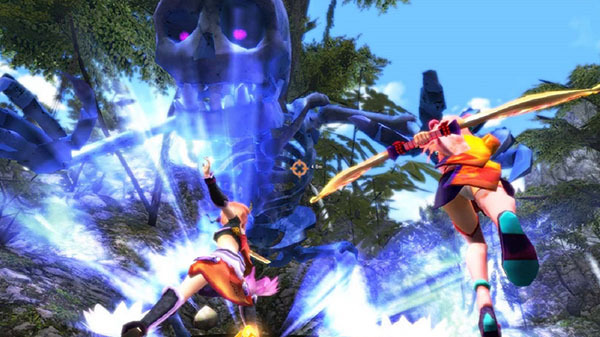 Japanese-style action MMORPG Onigiri is coming to Switch via the Nintendo eShop on January 31 and Steam in February, developer CyberStep announced. The game will support cross-platform play between the two platforms. Onigiri is currently available for PlayStation 4, Xbox One, PS Vita (Japan-only), and PC via client download. It has been played by over 2.8 million people since its initial release in 2013. Cross-platform play with friends across the world! You will be able to play with people across the world as both the Nintendo Switch and Steam platforms are on the same server! Team up with all your friends and take down the youkai! In celebration of the release we are sending out presents that will help you out on your journey! The present will remain in your present box until April 16, 2019! Don’t forget to pick it up!